How often have you been asked “Is that your hair?” I know I have been asked a few times and I always wonder why. What is their intent and why do they want to know? This oversharing world can be overwhelming at times and despite the commonality of openness for the masses, there are still many who prefer to live a more private life. I understand that our oversharing culture is not the only reason some feel the need to ask about your hair. Some just are nosy while others truly have no idea that people of color can have curly or coily hair. Yes, there are still some disillusioned souls out here thinking our hair grows straight and some of us are rocking curly weaves and wigs. If you have been asked this question and do not know how to address it, here are some responses to consider. Some women may just want help with going natural as we are seeing more women joining the natural hair movement. I love it and welcome every woman aboard, but as stated before, tact is not an inherent trait, so maybe she is asking because if your hair is relaxed and you’re wearing a wig you may be less likely to offer advice. Of course this could be false, as there are beauticians with relaxed hair and relaxed-haired women who know how to care for natural textures. We have all seen the amazing crochet braids, wigs, and weaves on Instagram that will have even professional hairstylist’s wondering if it is your hair. I completely believe in diversion because many are so easily distracted. I bombard them with questions and take them off-guard so they no longer have the focus on me but rather on themselves. This is a polite way to keep them out of your head and onto their own. Some will respond slightly defensive and start tripping over themselves to answer you. Now, they are out of your hair and into their own, which is the way it ought to be. This is not a rude answer in the least. You have every right to know their intention and this is the most polite way of knowing why they want know. Never feel obligated to answer a person’s question, especially from a stranger. If you have an answer that suits you, then share it but if not then don’t. 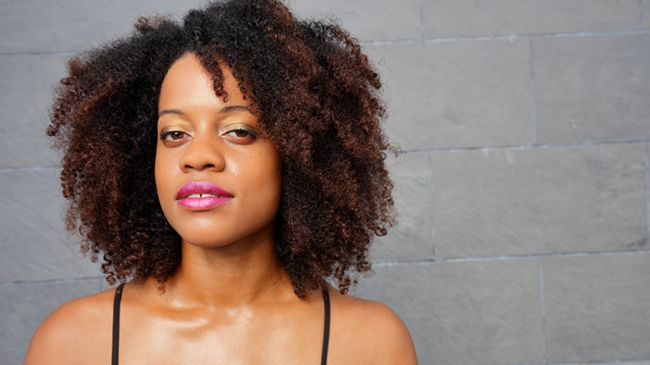 The bottom line is, whether you are wearing your natural hair or extensions is irrelevant. No one needs to know what is going on up in your head, and if you do not feel the need to share, then by all means don’t. I am a natural hair blogger so I share but if I was not I would not be so willing to give information about my hair to strangers. Simple as that. If you want to share then do it, but if you do not want to then use one or more of the examples above and keep it moving. How do you feel when people ask if your hair is real? Do you ask other people that question?